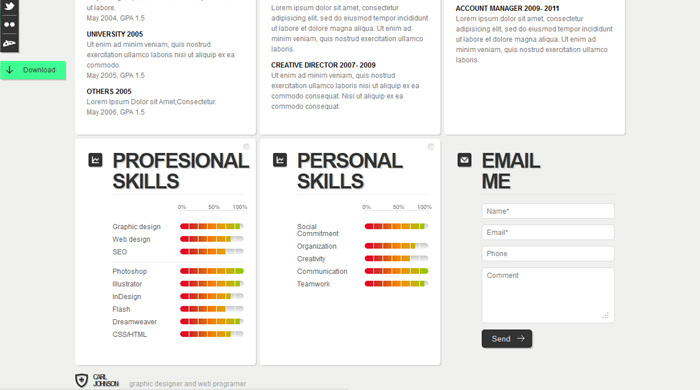 A creative, clean, portfolio and web resume for professionals. 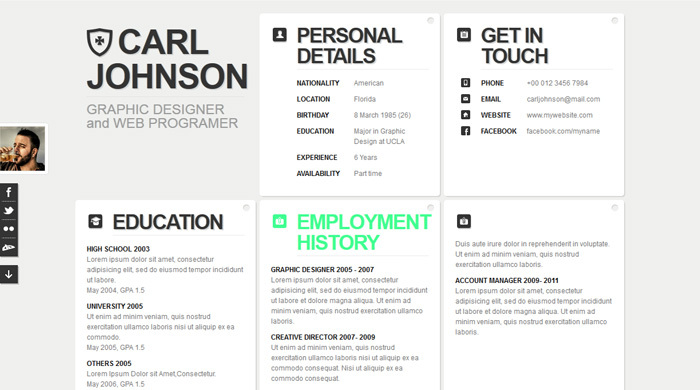 Our creative web resume is a html web resume template that is ideal to showcase your details, trajectory, skills and show off your latest work. The template includes two version, one with the portfolio items and one without. A working contact form with validation and ajax submit success message. Just insert your email and you are good to go. 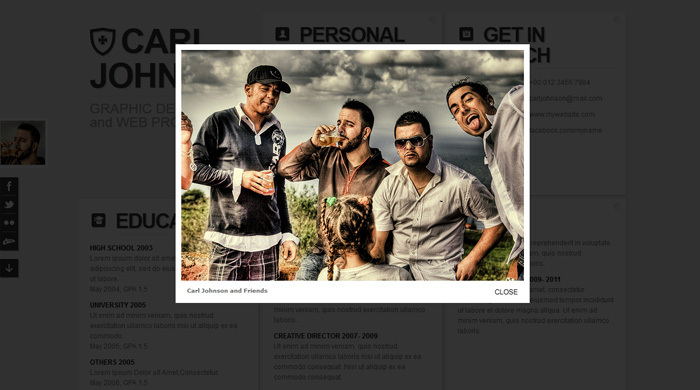 Your profile picture and portfolio items are linked with a lightbox popup gallery to browse your work with ease. An animated social link bar offers quick access to social profiles and a curriculum PDF download link. Easily update our template for your needs. The html is well documented and our quick tutorial guide will help you get the most of this template.